Hot on the heels of our first beta cycle for PowerGUI Pro 3.0, today we released beta 2 of PowerGUI Pro 3.0 to the web. This release includes a lot of fixes and improvements based on the feedback weâ€™ve received from you during our first beta cycle, so thank you for that feedback! In addition to these items, we have improved the performance in some scenarios in MobileShell and in the Script Editor, we have addressed some usability improvements in the Script Editor, the Admin Console and MobileShell, and we have fixed a lot of bugs as well (it is a beta cycle after all, and what good would a beta cycle be if it didnâ€™t include bug fixes?). Donâ€™t forget all of the new features that were in the first beta! Besides these changes, if youâ€™re just finding out about the beta of PowerGUI Pro 3.0, make sure you read my other blog post that highlights all of the new features like compiling scripts into executables, or the new MobileShell user interface that allows you to use PowerPacks from your smartphone or tablet â€“ those features and many more were included in the first beta of this release. 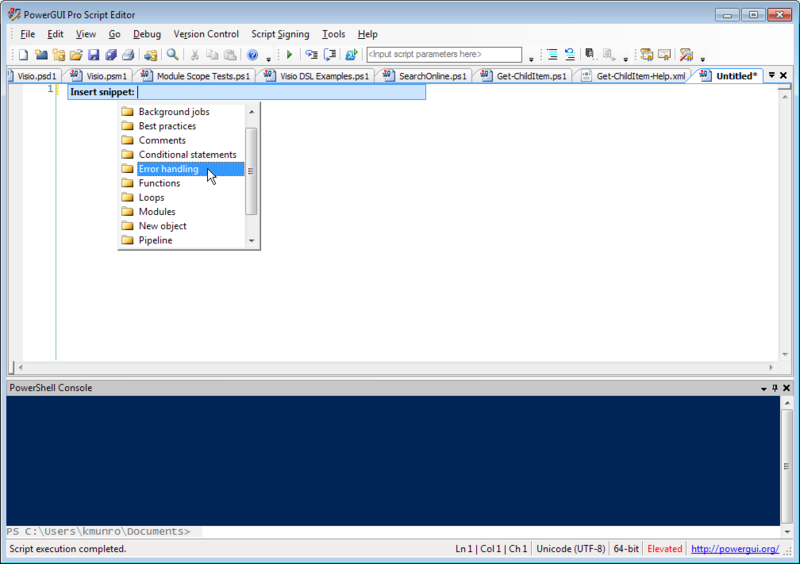 If you want to try the awesome new MobileShell capabilities, this blog post will help you get that set up in your test lab: Configuring RBAC for MobileShell in PowerGUI Pro 3.0. Beta 2 is available for download now, in the same location where we posted the first beta. You can find it on the PowerGUI Pro 3.0 beta page. When you are installing this beta, you will need to provide a license key. License keys for the beta are included in the zip file for the beta, right beside the msi and exe installers for the PowerGUI Pro 3.0 components â€“ look for the asc file in the Components folder. We will be running the second beta for a short period while we work on finishing up this release. Your feedback is very important during this beta cycle, so please give the beta release a try and share your feedback by posting messages on the PowerGUI forums. The sooner we get your feedback, the sooner we can respond to it. Iâ€™m really looking forward to hearing what you like, what you donâ€™t like, and what else you would like to see in this and future releases, so please share your thoughts with us.